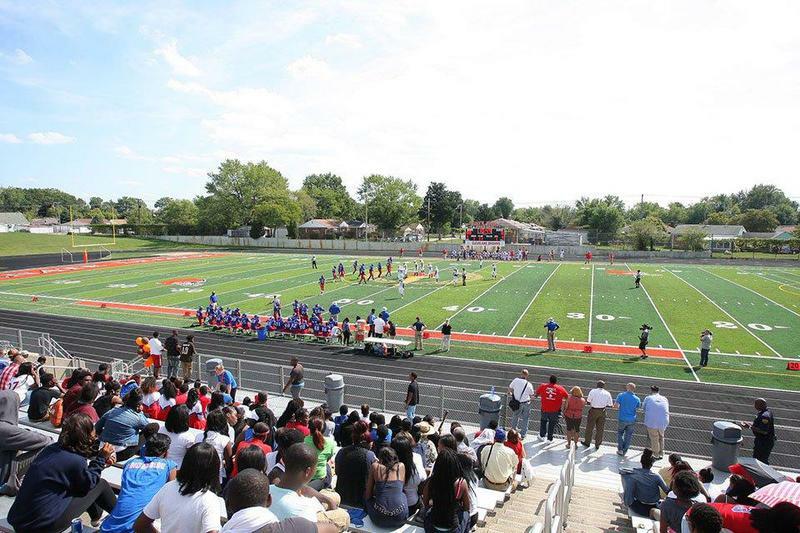 Welcome to the home of The Cleveland Muny Football League!! Sports unite, create friendships and togetherness. It's a great way to keep in shape while having fun with a team. The Cleveland Muny Football League is always looking for new members to join and become active members of our club. To learn more, please call 216-322-6689 or email us at info@cmfleague.org. Our mission is to provide youths an opportunity to play football and cheerlead in a supervised, organized, and safe environment, and to promote the ideals of sportsmanship, scholastics and physical fitness. To aid and assist in combating juvenile delinquency by providing and promoting the physical and emotional well being of young athletes. The Cleveland Muny Football Youth Football League is committed to be Ohio’s most outstanding Youth Football and Cheerleading League as judged by our parents, our peers, and the communities in which we serve. 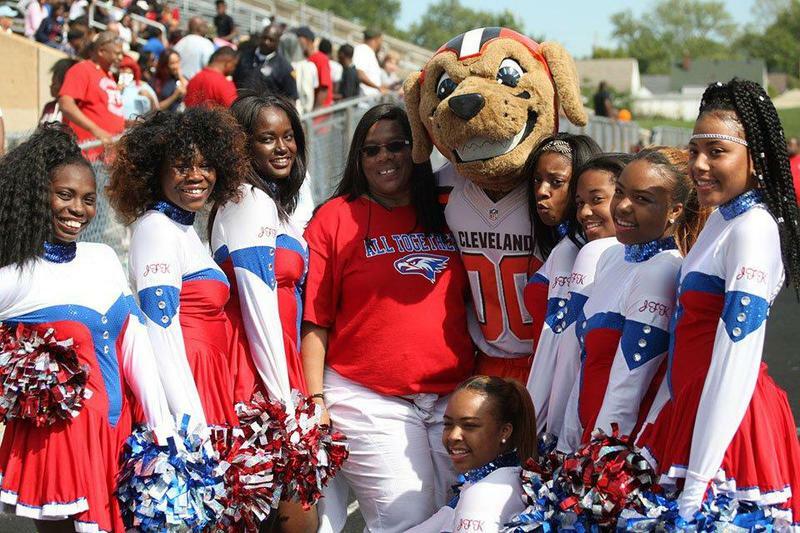 We strive to develop the best football and cheerleading experience possible and that starts with developing the best directors, coaches, and team parent volunteers in Cuyahoga county. Our Coaches and Volunteers serve as role models to our youth as reflected by their decisions and actions, and to work to build the athletes self-esteem and moral foundation so that they can confidently pursue and achieve their academic, athletic, and life goals. Phil Cullum founded the Renegades Football program in 1986 to keep kids off the streets. The program provides players, ages eight to 14, with a safe zone and support to achieve their goals on and off the field. 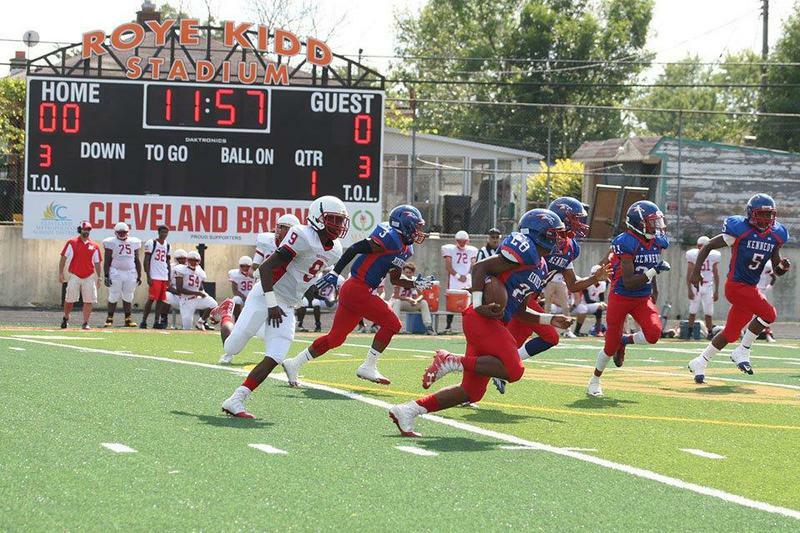 On December 5, 2015, the Renegades battled under the lights at the newly-renovated Dwayne Browder Field in Cleveland. This was the first night game played at home in Renegades Football history. 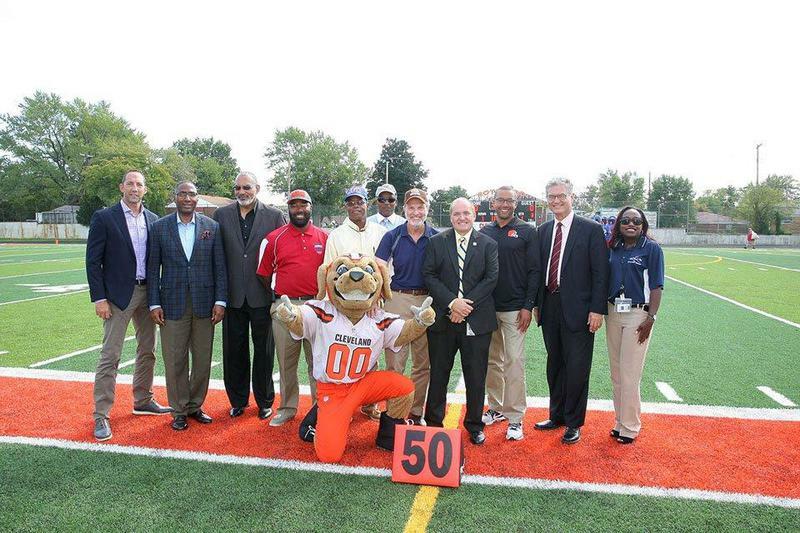 The field, located on the grounds of the old East Tech High School, was re-built in the fall of 2015 in a collaborative effort of the City of Cleveland, Cleveland Browns, FirstEnergy and the Burten Bell Carr Community Development Corporation. The lights were donated by The Illuminating Company, a FirstEnergy utility. In November, about 20 Illuminating Company employees donated their time to install the four light poles. They worked for about 10 hours to complete the job. Now, the field can now be used for night games, which is very exciting for the players. This is the Renegades Football story. 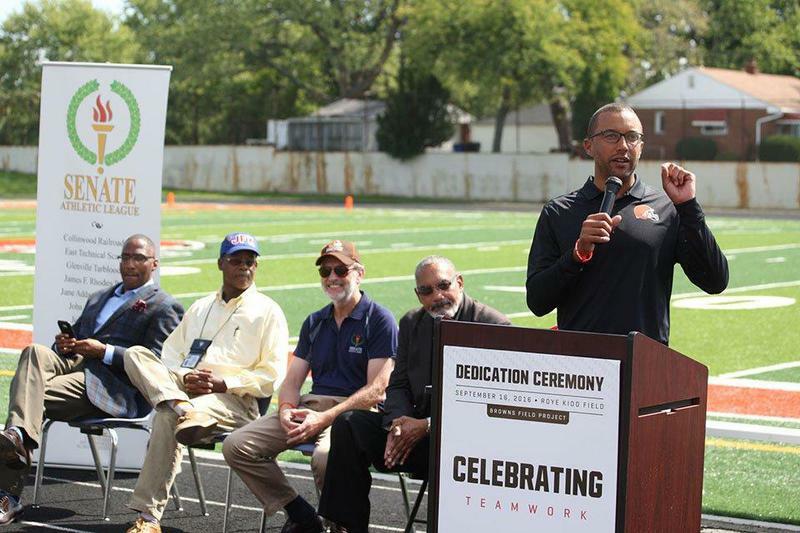 September 9, 2015 at 5:00 p.m., Mayor Frank G. Jackson, Cleveland Browns President Alec Scheiner, community representatives and business leaders gathered at 2511 E 46th Street to celebrate renovations to Dwayne Browder Field. The $930,000 project replaced the natural grass turf with synthetic turf thereby increasing the availability and playing status of the field. 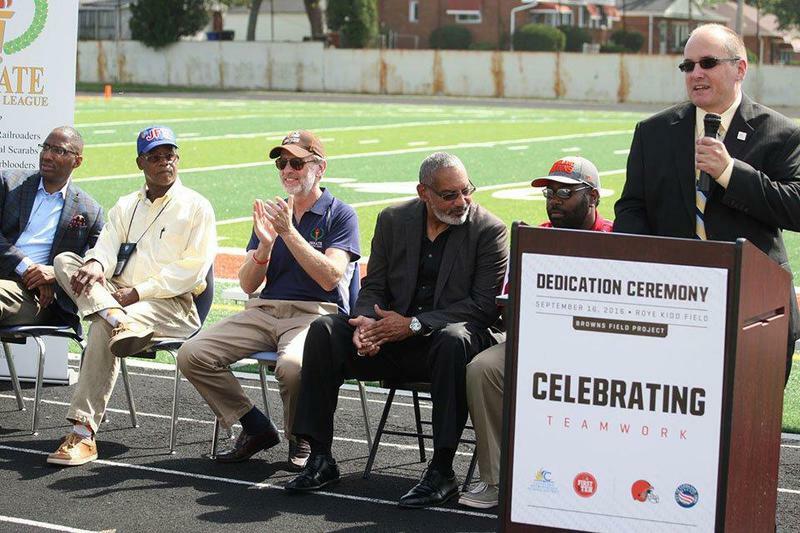 The renovation was a collaborative effort between the City of Cleveland, who funded the balance from General Obligation Bonds; Burten Bell Carr Community Development Corporation; and, the Cleveland Browns, who provided a $200,000 grant through the NFL Foundation Grassroots Program. 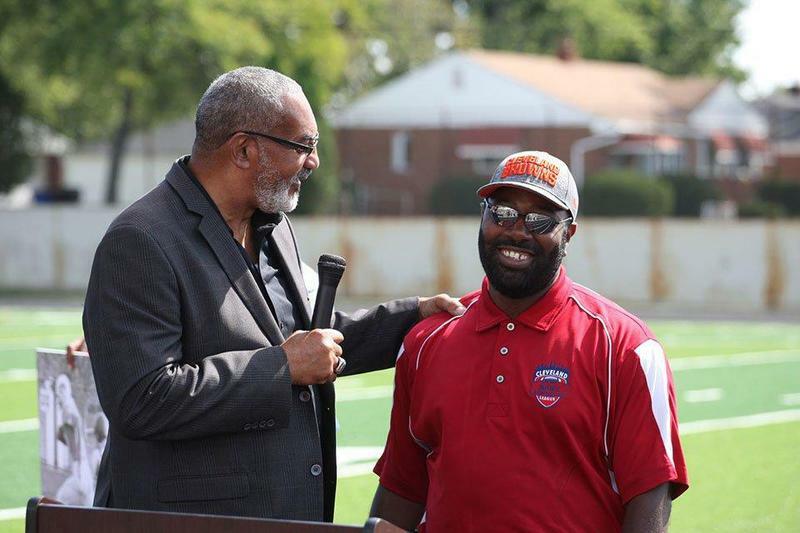 In 2013, the Lonnie Burten Recreation Field was renamed the Dwayne Browder Field to honor longtime Cleveland Muni Football League coach and community leader, Dwayne Browder. 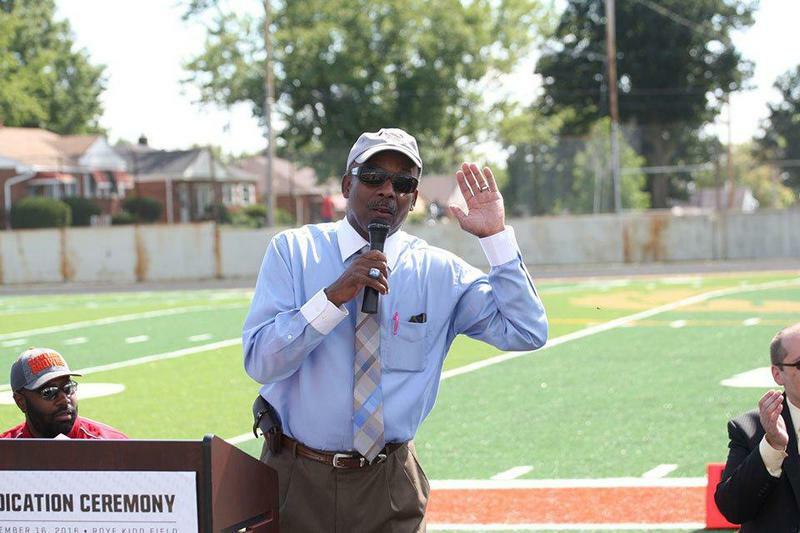 The field remains an important asset to Cleveland’s Central neighborhood, serving the Cleveland Muni League’s Phil Cullum Renegades and the East Technical High School Scarabs. The renovated field will also benefit neighborhood residents who utilize the field for exercise and other neighborhood programs. 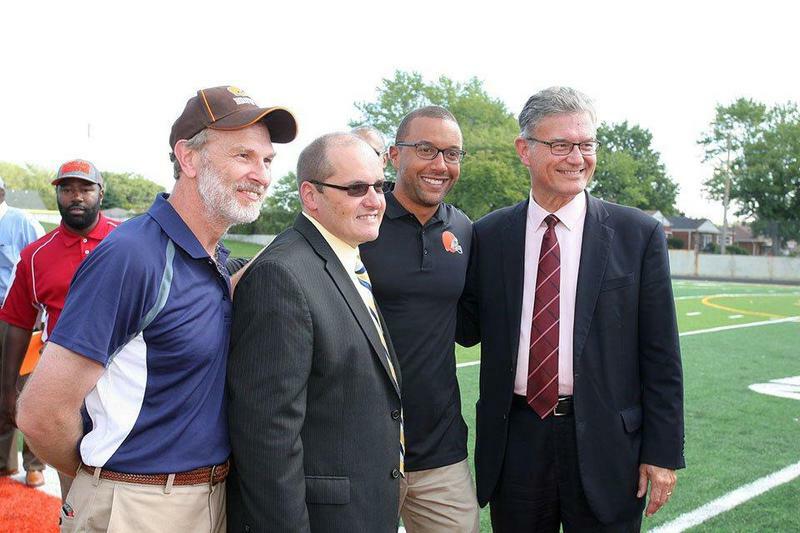 On August 15, 2014 the Cleveland Browns presented a check for $20,000 to the Cleveland Muny Football League as well as 200 tickets to a Browns preseason game. The funds will be used to refurbish helmets and equipment for more than 200 players. 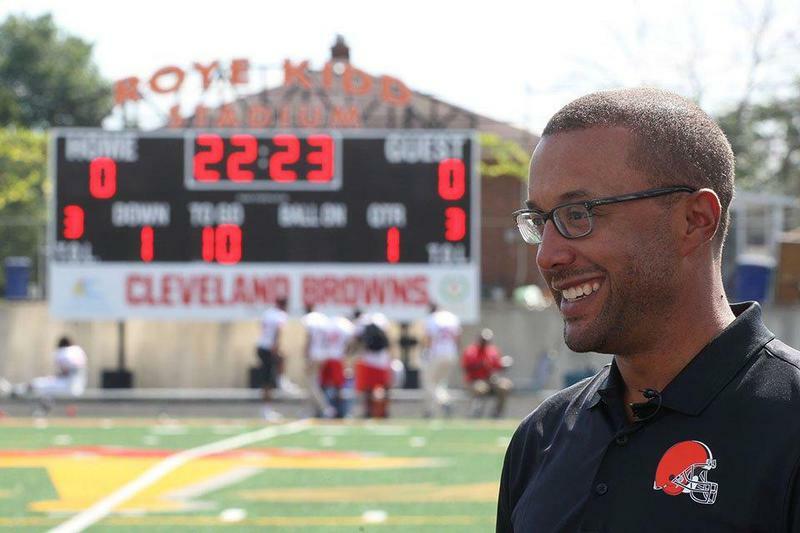 Post by Cleveland Muny Football League. Cleveland Muny Football League is a proud member of USA Football. All of our football coaches will complete the Level 1 coaches certification for tackle football. With this certification our coaches recieve training in how to coach the heads up method of tackling to improve player safety. 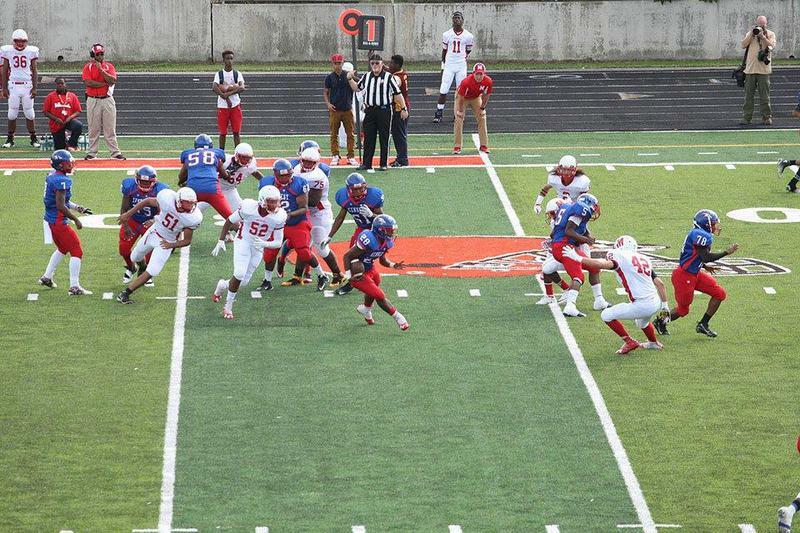 Please check out the USA Football site for more information.